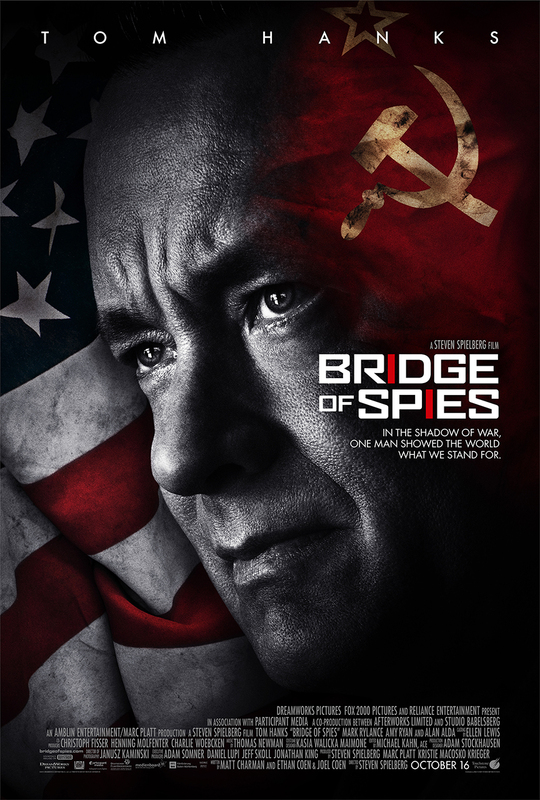 Dreamworks Pictures today released the first trailer for Steven Spielberg’s upcoming film, “Bridge of Spies,” based on the true story of CIA U-2 pilot Francis Gary Powers and his 1960 capture by the Soviet Union. In it, Tom Hanks portrays James Donovan, an insurance attorney recruited by the U.S. government to negotiate a spy swap for Powers with the Soviets. If the trailer is any indication, the movie looks like it will have some harrowing scenes behind the Iron Curtain in East Berlin, and the images of the shooting down of Powers look gripping. “Bridge of Spies” also co-stars Amy Ryan as Donovan’s wife and Alan Alda. Austin Stowell, who had a supporting role in the movie “Whiplash,” plays Powers. The movie was originally called “St. James Place,” but has since been retitled. It was co-written by Joel and Ethan Coen. It is due to be released Oct. 16. Watch the trailer below and sound off. Will you go see this one?